I was a Girl Scout and I took their motto, “Be prepared”, to heart. I am so prepared and you can be too. 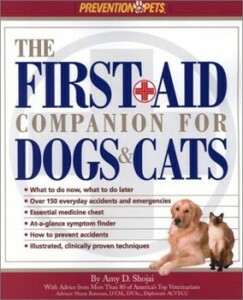 The First Aid Companion For Dogs & Cats will help. Our pets never seem to have health problems while our vet is open. It’s always late on a Saturday night or on a holiday. 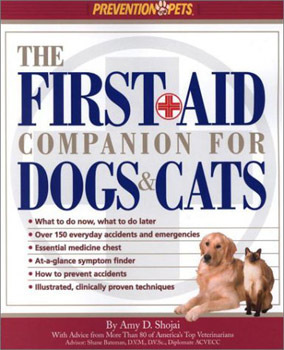 This book is so handy at those times for letting me know if we need to seek immediate care or if a visit to the vet can wait or is even necessary. 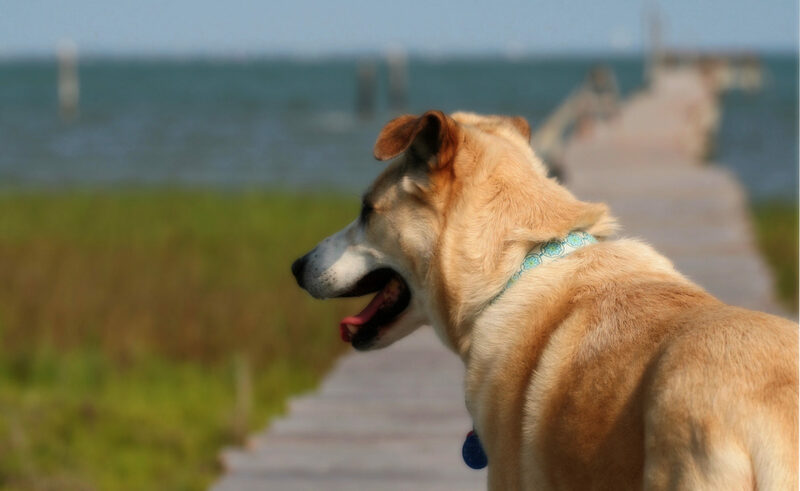 The book was written by Amy D. Shojai with input from over 80 veterinarians. It has good illustrations instead of photos, which I like because photos of horrible wounds can keep some people from using a book. The injuries and conditions are presented in alphabetical order, which makes it easy to find information even if you’re panicking. There’s also an index if that works better for you. One of the things that separates this book from others I’ve seen are the thoughtful sections at the beginning. You should read this part of the book before an emergency happens. The first section covers what you should have in your medicine cabinet & first aid kit and includes a thorough section on medications for humans that can and can’t be used with cats and dogs. The second is a great section on how to assess the emergency by checking things like capillary refill time by pressing your finger on your pet’s gums and counting how long it takes to turn pink again. There’s even a chart showing how many seconds is normal, how many seconds means you should call the vet, and how many seconds means it’s an emergency. The third section teaches how to do basic things like restraining your pet, bandaging, and CPR–including an acupunture point that can aid in resuscitation by releasing adrenaline. I like that the fourth section describes how to prevent problems in the first place. The fifth section is a comprehensive list of symptoms and what page to turn to to get quick information on what to do. All of that great information doesn’t even include the bulk of the book, which covers injuries and conditions. Each section begins with when and if you should call your vet. For instance, in the section on bloat, you are advised to call you vet immediately. Next is a list of supplies you will need, including things like a blanket and karo syrup or honey to combat shock, liquid Mylanta, rectal thermometer, etc. The section covers what steps to take immediately, what treatment a vet will likely give, follow-up care, ways to prevent the condition, and the “Best Approach” to deal with the problem in the first place or if it happens again. All the information is presented clearly and in a way that’s easy to access. We like this book! I took Bill’s advice and checked my library, too! I like to browse before I buy. I know this isn’t a non-fiction “useful” book, like this one, but I wanted to give a shout-out to a great book about a dog in a wheelchair, “Frankie, the Walk ‘N Roll Dog,” by Barbara Techel. She is Frankie’s owner, and wrote the book from Frankie’s point of view — and she now travels to schools with Frankie. Frankie’s story teaches children (and adults!) love, compassion and courage.